In recent years there has been a boom in the world of investing. The number of funds, conferences and pure dollar amounts seems to be growing now at an exponential rate. That means something must be working, right? Surprisingly, one of the major challenges that remain is how to accurately measure the impact returns which make an impact investment, well, an impact investment. Because if we can’t do that, the impact investing boom may soon peter out. To sustain the impact investing movement, we must listen to every beneficiary through proper impact management. In this article, we’ll take a look at some of the ways impact management can ensure that impact risk is accounted for and mitigated, so that impact outcomes are eventually amplified. These strategies are useful for both those on the funder side (who carry the brunt of the risk) and those on the funded side (social enterprises, etc.) who are trying to make impact happen with that capital. Social impact management is not the buzzword that gets the most attention. But it is the strategy that should get the voice of every beneficiary heard. We define it as the process of determining the positive and negative effects of enterprises and investors actions on people and planet, and then figuring out ways to mitigate the negative and maximize the positive impact. The key word there is process and voice of the beneficiary. For example, in addition to asking yourself, how will you collect data, you should be asking yourself how that data will move through your organization (and to external stakeholders). Beneficiaries, field workers, program managers, executives, funders, etc. all need to be able to tap into that impact data flow at some point. Understanding how impact data and insights flow from one to the other, and having the right tools (and training) to make that happen will enable organizations to really understand the depth of their impacts -- both positive and negative. That way, they can maximize the former and mitigate the latter, something an impact investment portfolio will always value highly. If impact investing is to gain wider adoption worldwide, that impact value needs to be present, in addition to the financial value. Let’s dig a bit deeper into how impact management can keep the impact investing wave going strong. One of the great “externalities” of a strong impact management pipeline is the collaborative power it brings to actors up and down that pipeline. For example, taking a cloud-based impact management approach – housing data, analyses, etc. 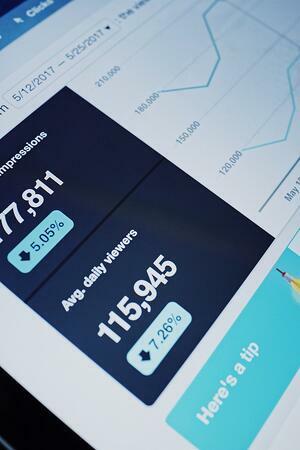 on an online impact platform – can help make impact strategies, data, and insights more transparent for actors within and outside your organization. Why is this a good thing? For one, other teams and organizations may see trends, patterns, or other impact learnings in data that you have not. Also, such transparency can also help breed opportunities for cross-disciplinary projects or cross-sector partnerships which were otherwise not as evident. The biggest reason, of course, is that with more impact transparency comes better impact outcomes. As this article from the United Nations Development Programme makes clear, some new solutions has blockchain type accountability with connected solutions are already emerging to help amplify social impact. 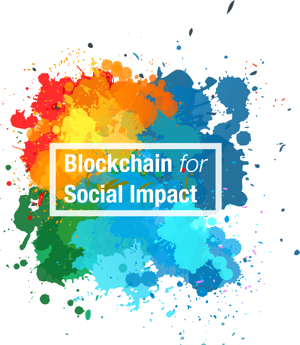 Using the underlying thinking of blockchain has myriad applications and when we think about how it can be applied to the impact sector, the first the question that arises is likely: are social sector organizations (for profit or otherwise) ready to adopt emerging technology? If you have experience in this sector, you probably, have painful memories of broken Excel sheets, dozens of versions of the same data set, etc. This is the type of technology-adverse culture that could limit blockchain’s adoption. Which is why, prioritizing and investing in an impact management approach is also so important. With good systems and processes in place, managing impact becomes less cost-intensive (as it should be) and teams and organizations can more easily adopt new technology applications, like those using blockchain infrastructure. Furthermore, funders (e.g. impact investors) are probably more likely to put their capital to work for organizations that have made themselves more adept at impact management and have set themselves up to be ready for any relevant blockchain solutions. At Sopact, we’ve pioneered a new impact knowledge ecosystem. Based on the concept of a knowledge graph, we’ve leveraged our expertise in impact management to collaborate with other impact leaders in the creation of an impact knowledge graph. Using Sopact’s Impact Cloud, practitioners can tap into an integrated, interactive database of impact themes, indicators, strategy and mapping tools, and more. This enables funders and assets alike to build impact strategies using established frameworks (e.g. GIIN) or to use frameworks they build out of the library of possibilities. A structured impact knowledge graph essentially gives these teams a greater ability to collaborate effectively in true impact alignment. Once strategies and systems are in place, data aggregation and reporting also becomes a much more streamlined process. On the asset manager side, an impact investment with a higher potential for returns (impact and financial). On the asset side, beneficiaries who have a higher chance of positive outcomes. Not only new generation investors demands these changes, it can revolutionize how investments made in future! Let’s face it. Creating impact that endures is hard. The variables are many and the money isn’t limitless. Impact management can help us manage those variables and reduce the cost of doing so. The very nature of impact management processes is collaborative, so when done right, collaborative opportunities arise and their potential for success is clear from the outside (data transparency can work wonders). Furthermore, embracing impact management can help impact organizations realize that things like impact measurement don’t have to be cost-intensive to be effective. And it can help the sector adopt new technologies, like those based on blockchain, to further scale impact in efficient and effective ways. So whichever side of an impact investment you are on, or even if you are on the outside looking in, take impact management seriously. It could be the difference maker that helps impact investing become simply the way that investing is done. Ready to try new Impact Management Solutions for your organization? Signup today.